This is a loose colorful Floral still life I did on a 12 x 16 panel. 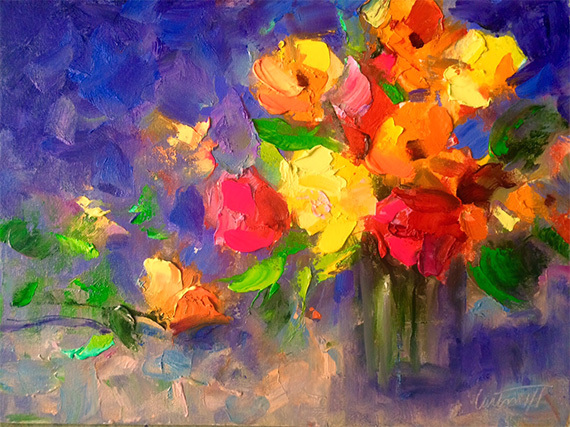 I use lots of impasto, and very rich color, without paying too much attention to the types of flowers, and thinking of them is just beautiful colorful shapes. Sometimes it’s a joy to paint with a palette knife and just saturate the canvas with beautiful color. Quite a dichotomy from when I go out on location and paint a foggy landscape composed of muted grays!